According to the National Fire Protection Association, on average, 25 candle fires are reported each day. This confirms that, while candles can smell great, bring warmth to your home, and illuminate your place beautifully (especially during this time of year, when the days are shorter and darker), you should still be very careful when burning them. If you don't know what precautions you should be taking, however, continue reading to learn some candle safety tips. Get your home back on its feet after a mishap with help from Walker & Frick Construction Co. Call 804 282 1281 if you require professional property restoration in Richmond, VA.
Of course, if you want to completely eliminate the risk of your house burning down due to a candle, search for alternatives to it. For instance, there are fake candles that give out a beautiful glow and can change the ambiance in your house, but that are battery-powered. If what you like is the scent candles produce, you can use room fresheners to fill your space with a nice smell. One of the most popular rules regarding candles is that you should never leave them unattended when they're lit. And with good reason! You never know what could happen that could cause a fire, and if you're not there to deal with the situation promptly, it could end in disaster. So, put them out if you'll be leaving the room, going to sleep, or if you don't need them at the moment. 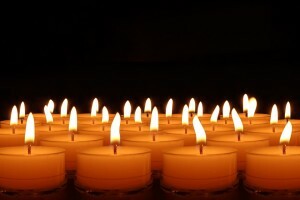 "Where" you place your candles is key to ensuring your, your family's, and your home's safety. After all, placing one on a wiggly table next to long drapes is, quite literally, playing with fire. For that reason, you should search for the right place for them. It's recommended that you find a sturdy spot that has an even surface, where it can burn without reaching any flammable objects. Candles can be especially dangerous if you have pets (like cats and dogs) or children in your household. This is because they can knock them down while they're playing, or be attracted to the flames. To ensure they won't cause an accident that may end up getting them hurt, pay special attention to them and take extra precautions. For example, keep the candles out of their reach. Did a mishap occur at home? If you require professional property restoration in Richmond, VA, turn to Walker & Frick Construction Co. Call 804 282 1281 to request a free estimate. Another important part of candle safety is making sure that the container in which you burn your candles is the appropriate kind. A few characteristics is should have is that it should be sturdy, big enough to contain the melted wax, and made from a material that doesn't transfer much heat. This way, you'll keep your home (and the surface upon which the candle is placed) as intact as possible. The risk of fire isn't the only reason why candles can be a safety hazard. On the contrary, the smoke they produce can cause respiratory problems in some people, which is why you should only burn them in spaces that are big enough and well-ventilated. Tied to this safety tip, make sure that you don't burn too many candles at once, since the smoke can become overpowering. Something else you should keep an eye out for when you're burning a candle is the length of its wick. This is because, if you continue using a candle with a short wick, you run the risk of it breaking the container and causing an accident. For that reason, it is imperative that you change out your candles when you see they're reaching their end. Last but not least, you need to put the candles out at the first sign that there's something going on. That's why, as mentioned a few paragraphs above, you always need to pay attention when you're burning candles. For example, if you sense a gas leak, put them out right away, since it can fill the room and cause an explosion in your home. For all of your property restoration needs in Richmond, Va, know that you can count on Walker & Frick Construction Co. Call them at 804 282 1281 to request a free estimate.